Chervil is closely related to Cow parsley (Anthriscus sylvestris) and Bur chervil (Anthriscus neglecta) but is far more tasty! 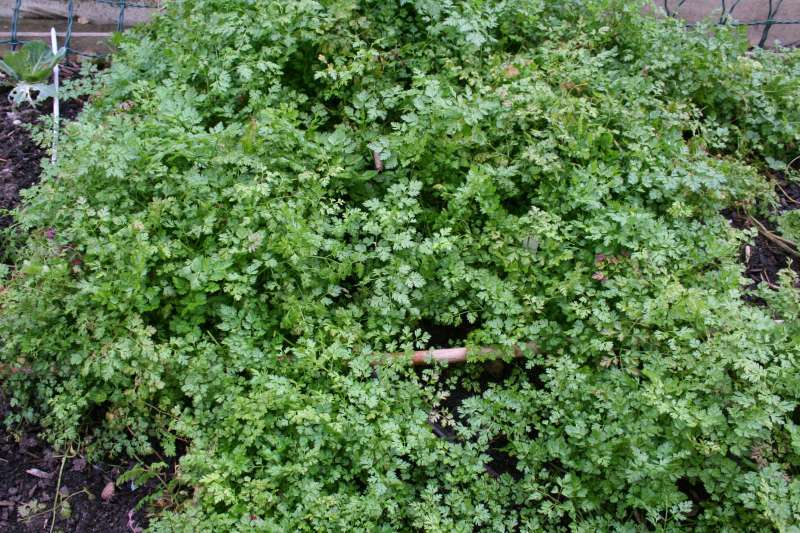 Chervil is a native of the Danube basin, South and central Russia, Asia minor and the Caucasus. 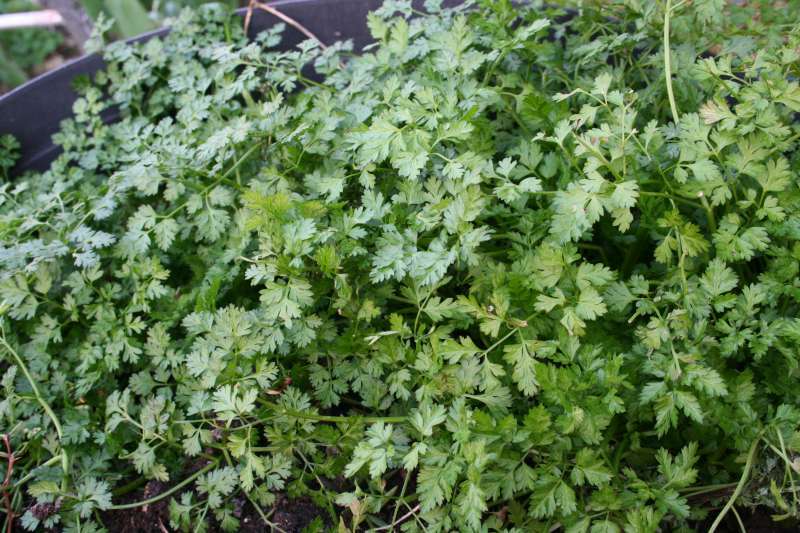 It is naturalised into Gt Britain, but, as I have never found chervil growing wild, the photos are of plants in our garden as it is a useful salad plant at a time of year when few salad plants are available - though when very cold it is slower growing so not as tender. Photos were taken 2011, March 13th. 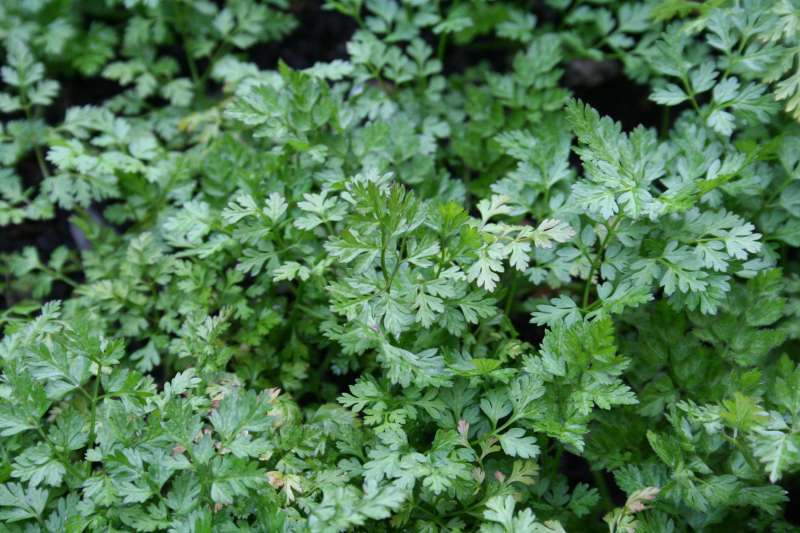 Chervil has a distinct though quite mild anised flavour, so is suitable to most tastes. Chervil seeds are quite commonly available.